Mayor Mark has made (and is making) his mark (pun intended) in the Greater Danbury area. But his legacy extends far beyond the borders of Danbury - and even Connecticut. 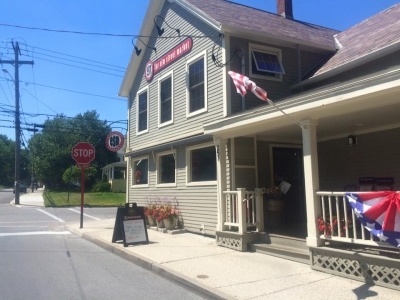 The quaint town of Bennington VT is quite familiar with Mayor Mark. In fact, he's a best seller in Bennington. And when you visit the Elm Street Market, you'll find out why. 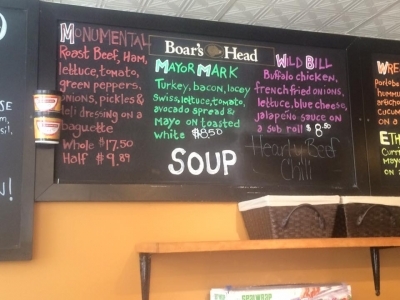 This neighborhood eatery and upscale convenience store, proudly offers has a sandwich tastefully named the Mayor Mark. 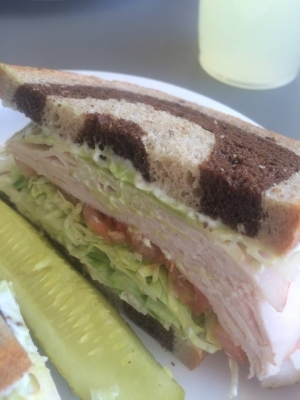 With fresh cut turkey breast, bacon, lacy Swiss, lettuce, tomato and avocado spread, it's a sandwich you won't soon forget. Dare I say, it might even be worth the 3 hour drive from Danbury. Elm Street Market owner Ted Cutsumpas is a former Danbury City Hall employee who worked alongside Mayor Mark for a long time as Community Service Director before heading to the hills of VT.
Mayor Mark left a lasting impression on Ted and what better way to honor his friend and co-worker than with Mayor Mark's favorite sandwich? Yup. Mayor Mark confirmed with us via Twitter @MayorMark that he did indeed choose the ingredients between the toasted bread. Click here for directions to Elm Street Market.